Despite the relatively mild months of November and December, January’s air has brought with it a discernible nip. As the temperature falls we’re all more likely to give into temptation and hit the heating on; at the expense of a low heating bill at the end of the month, of course. Electricity-wise, the darker mornings and evenings are also far more likely to see us switch on the lights for an additional few hours every day. Plus, as people generally wear more layers of clothes in winter it’s easy for the washing machine and tumble dryer to be constantly whirring away, particularly in a family household. The price of gas is the same whatever time of day you choose to put the heating on. This means that, to save as much money as possible, you should be considering two simple factors: outside temperature and occupancy of the house. Once you’ve worked this out, you’ll be in a good position to work out your most cost effective routine. Bear in mind that most modern boilers now have a timer function, so you can set the heating to turn on for half an hour or so just before you wake up or return home from work. 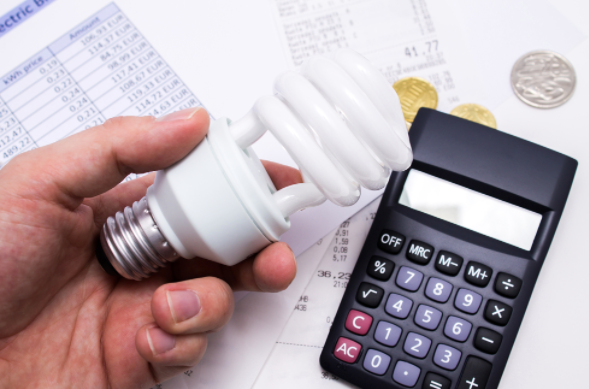 Although this is a relatively common tip that you’ve probably heard before, we can’t recommend switching to compact fluorescent light bulbs (CFLs) enough. These bulbs use an average of 75% less energy than your standard light bulb, which could actually save you up to £100 per year on your electricity bill, particularly if you have a lot of bulbs in your house. Heating water can prove to be one of the biggest drains on your energy usage. So instead of automatically going for a high temperature on your washing machine, consider flicking the dial a few degrees downwards. This can save you a surprising amount of money per load, particularly if you are washing clothes for the whole family on a regular basis.